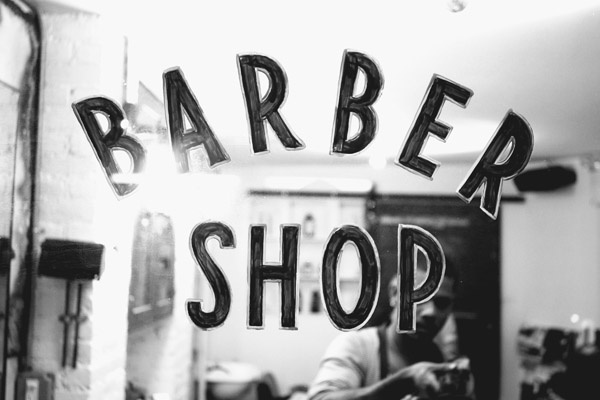 If you live in NYC and frequent a barber shop, then perhaps you’ve heard of or go to Blind Barber for a fresh fade. If not, you’ve probably been living under a rock — or don’t care about hipster barbers. But I digress. Details recently teamed up with the popular chop shop to film artist Curtis Kulig of “love me” tag fame to talk shop and watch him get a close crop. Check out the madness below. This entry was posted in Facial Hair, Features, Hair, Shaving, Uncategorized and tagged Blind Barber, Details. Bookmark the permalink.